2 OZS. 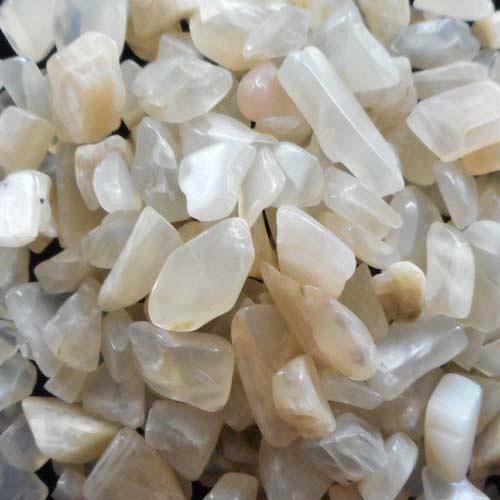 OF GENUINE MOONSTONE CHIPS. THESE ARE LOVELY SHADES OF WHITE, IVORY, SAND AND SOFT GRAY THAT JUST GLOW. SIZE IS 1/4" TO 1/2".